The vast majority of snowbirds will want their own car in their destination of choice for the winter. Long term car rentals can be expensive and one of the attractions of wintering in the Southern U.S. is that it is possible to drive, or have your car driven, or transported, relatively easily. However, not everyone wants –or, indeed, is able -- to drive their own car to their winter destination. There are several options available to Canadian snowbirds, including hiring a drive away service, hiring a family member or friend to drive the car, or hiring someone who offers this service as an individual. There are also car transportation services and even a train service. If you plan on leaving your car in the U.S. permanently or bringing a U.S. vehicle back to Canada, there are a number of regulations you’ll need to comply with. We’ll be covering these in future articles, so stay tuned! How long can my car be in the U.S.? As far as the U.S. government is concerned, Canadians can leave their car in the U.S. for up to one year with Canadian registration and a Canadian driver’s licence, after which you will have to get a U.S. registration and insurance, meet U.S. environmental standards and pay duty on importing the vehicle. Driver’s License and Registration: Make sure you renew your driver’s license and vehicle registration before you leave for the winter if they are expiring while you’re outside Canada. Be sure to check your province’s rules for early renewal policies. Auto Insurance: Most Canadian auto insurers limit the amount of time you can have your vehicle outside Canada to 6 months, but this can vary so be sure to check with your insurance company and read your policy. You should also check to see if you need to purchase supplemental auto insurance for long term stays in the U.S or notify your insurer about taking your vehicle outside Canada for extended periods. Consider increasing your liability coverage too, as any claim against you in the United States will be in U.S. dollars and your insurance will pay out in Canadian dollars. Handicap Parking Permits: Be aware that your U.S. destination may or may not honour your Canadian issued handicap parking permit. If you require a permit, you should check with the local state DMV to see what their policies and requirements are. Drive away services offer experienced drivers who frequently drive cars to and from the Southern U.S. You will be expected to pay a fee which can vary from about $700 to $1,200 CDN depending on the distance and other considerations. They will also tell you what paperwork they will need to cross the border. Keep in mind that some drive away services provide an all-in price, while others require you to purchase a return air ticket for your driver, or a southbound air ticket if they are driving your car back to Canada. Be sure to inquire about what the price includes before you book. Friends, family members and individuals may also be an option to drive your car to and from the U.S. If you have a more informal arrangement with a friend, family member or individual who offers this service, expect to cover all meals, hotels and gas, as well as an air ticket home. Be sure to ask for receipts. An advantage of having your car driven for you is that you will be able to fill it up with the personal belongings you want to take with you for the winter. a letter of authorization from you stating that they you’re your permission to take the car across the border and other details including your U.S. address. a photocopy of your passport. If your car has personal belongings in it, be sure to fill out a U.S. Customs and Border Protection (CBP) Form 3299 – Declaration for Free Entry of Unaccompanied Articles that accurately lists all of the personal items in your car. You can download the form here: Form 3299 – Declaration for Free Entry of Unaccompanied Articles. If your car has personal belongings in it, be sure to complete a Canada Border Services Agency (CBSA) Form E-15 Certificate of Destruction/Exportation that accurately lists all of your person items to avoid paying duty and taxes on these personal items when you return to Canada in the spring. You can download the form here: Form E-15: Certificate of Destruction/Exportation. When you return to Canada in the spring, a copy of a completed CBSA Form E-24 Personal Exemption CBSA Declaration listing all of the items being driven back in your car, along with a copy of the completed Form E-15 when your vehicle entered the U.S. IMPORTANT NOTE: You should keep the original copy of Form E-15 to present at customs when you return by airplane to inform customs of goods that will be following you home separately. out of country medical insurance for travelling in the U.S.
proof of how they will be returning home, such as an airline ticket. This will let U.S. Customs and Border Protection offers know how your driver has the means to return to Canada, since the vehicle will remain in the U.S.
You should also check with your auto insurer to make sure that your driver will be covered under your policy and meets any age requirements. If a friend or family member is driving your car for you, make sure they know that they need to use the Commercial lanes when crossing the border into the United States. You can also put your car on a transport truck and have it shipped to your destination in the American Sunbelt. One of the obvious advantages is that the trucking company will assist you with any paperwork and your car is delivered to your door. There are two choices for transport: an open truck or a closed truck. Some moving companies will also move your vehicle. There are several companies that specialize in transporting cars to the southern U.S. for snowbirds. Costs vary, but as an example, a recent quote for a car shipped from Toronto to Tampa, Florida was $1,275 USD door to door, with a 6 to 8 day delivery window. It is also possible to drive your car across the border yourself, and then arrange for it to be transported by a U.S. car transport company. If your car is being shipped, be sure to ask the transportation company if you are permitted to pack any personal items in the trunk and in the car, including luggage, as this is usually not permitted and you may have to make other arrangements to get your belongings to your U.S. destination. If you live on the East Coast, shipping your car by train to Florida is another option, but you’ll have to get your car to Washington, D.C. Amtrak’s Auto Train will ship you and your vehicle to Florida and that includes cars, SUVs, trucks and motorcycles. You will enjoy the scenery along the way and meals on board while your car or SUV hitches a ride as well. Taking the train avoids all the stress of the two day drive and saves on mileage and gas of course, as well as the cost of places to stay and eat along the way. The train leaves from Lorton, Virginia (close to Washington, DC) and arrives at Sanford, Florida (near Orlando). The 900-mile journey takes 17 hours and 29 minutes and there are sleeping accommodations on the train including bedrooms, roomettes, or family accommodations as well as Business class. Flexible fares start at about $535 USD for two adults and $244 USD for your vehicle, but lower fares are sometime available through sales or promotions. Many snowbirds enjoy the experience of driving their own car to their winter destination each year. For those who do want to drive themselves, see our Top 11 tips for Driving Your Own Car to the U.S. Cost – How much do you wan to spend to transport your vehicle? 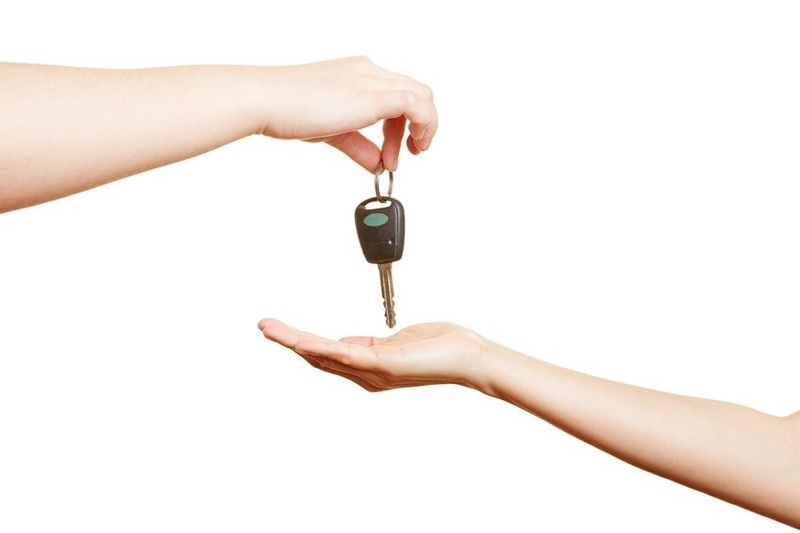 Convenience – What’s the easiest, most convenient way to get your vehicle back and forth? Wear and Tear – Do you want to subject your car to the wear and tear of long distances drives? Timing – How quickly do you need your vehicle in your winter destination?